Born on 07 March 1955 at Rohtak, Haryana. Dr. Rameshwar Singh had his initial education from his village school and local town. Dr. Singh got his M.Sc. degree in Dairy Microbiology from National Dairy Research Institute (NDRI), Karnal in 1977. He qualified for the Agricultural Research Service of ICAR in the third batch and joined as a Scientist at Indian Veterinary Research Institute, Izatnagar, in July, 1978. He worked on Recycling of Animal Organic Waste, Microbiology of Feed and Fodder, Live Microbial Feed Supplements / Animal Probiotics, and Rumen Fermentation. Along with Dr. D N. Kamra (Presently National Professor at IVRI), he established the Microbiology Section in Animal Nutrition Division at IVRI. He obtained his Ph.D degree from IVRI Izatnagar in the discipline of Microbiology, working on biodegradation of lignin in cereal straws for improvement of their nutritive value. Dr. Singh organised ‘International Conference on Biotechnology of Lignin Degradation’ sponsored by Department of Biotechnology, Government of India. During his 17 years of stay at IVRI, he worked on many interdisciplinary projects, played an important role in the foundation of Animal Nutrition Association, and organised different training programmes in addition to teaching and research. Dr. Singh joined the National Dairy Research Institute, Karnal in May 1995. He took charge of the National Collection of Dairy Cultures (NCDC) and played a major role in strengthening and modernization of the same. The NCDC is the singular repository of dairy organisms in the country and serves various interests of industry and researchers in dairy, food processing and life sciences research. Dr. Rameshwar Singh headed the All India Network Scheme on Dairy Microbes, besides working on collaborative projects with Dairy Industry and National Dairy Development Board. He played a very dynamic and important role in the management of academic activities at NDRI, Karnal by serving as Registrar, NDRI Deemed University, from January 2004 to September 2012. He was instrumental in adding new courses and streamlining the admission process across the headquarter and regional stations of NDRI. He organised a number of convocations, conferences and meetings at NDRI to develop linkages with national and international organizations, academic institutions and industry. Dr. Singh shouldered the responsibility of Head, Dairy Microbiology Division for around 3 years and held additional charge of Joint Director (Academic) at NDRI. He guided a number of M.Sc. and Ph.D scholars. His major scientific contributions at NDRI are related to dairy starter cultures, functional dairy organisms, fermented milks, cheese and probiotics. He published in high impact journals and his work is cited widely. Dr. Singh also served NDRI as its spokesperson and Incharge, Press and Media Cell apart from many other additional assignments. He represented India at World Dairy Summit organised by the International Dairy Federation at Shanghai in 2006. He was awarded the FAO/AHRD visiting Fellowship at “Utah State University, Logan (USA)” for a period of 3 months for advanced study in the field of molecular biology of lactic acid bacteria. Dr. Rameshwar Singh joined the ICAR Headquarters at New Delhi in September 2012 where he headed the Directorate of Knowledge Management in Agriculture as it’s Project Director. He steered the ICAR publications, Research Journals, Mass Media, Public Outreach, Annual Reports, Newsletters and Online E- publication Platform for Research Journals in Agriculture and Allied subjects. He headed the Consortium for E-resources in Agriculture (CeRA), subscribing close to 4000 research journals from reputed publishers and providing access to all agricultural universities and ICAR institutions in the country. Dr. Singh initiated the Social Media activities of ICAR (facebook, youtube channel and twitter handle) and reshaped the ICAR and DARE websites to be more informative and user friendly. He was instrumental in proposing and finalization of the Open Access Policy of ICAR and provided required fillip to the production of several documentary films showcasing ICAR initiatives, success stories and history of green revolution. 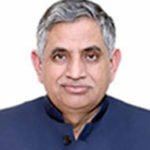 He worked closely with National Academy of Agricultural Sciences, Indian Science Congress, Trust for Advancement of Agricultural Sciences, Asia-Pacific Association of Agricultural Research Institutions, International Livestock Research Institute, The Essential Electronic Library in Agriculture (Cornell), Center for Development of Advanced Computing, National Knowledge Network, Press Information Bureau, and Door-Darshan Kisan TV Channel and Department of Agriculture Cooperation and Farmers welfare. He also steered the mass media project of world bank funded National Agricultural Innovation Project and modernization of ICT infrastructure at ICAR Headquarters located at Pusa, New Delhi.